This student at St. Mary’s School watches a video message from his partner at Ekalavya School in Hyderabad. Each video message exchange centers on a theme raised in “I am Malala,” such as leadership, access to education and community service. At St. Mary’s School, an International Baccalaureate World School in Aliso Viejo, California, teachers are always looking for ways to broaden students’ global understanding. To that end, Heidi Galloway, Chair of the Literature and Language Department, recently offered Global Conversations to all four of her sections of sixth grade English. Her students read and discussed I am Malala with global partners in India and Uganda. Galloway’s students were paired one-on-one with partner students from one of three schools: Ekalavya in Hyderabad, Masoom Night Schools in Mumbai and Gayaza High School in Uganda. While reading I am Malala, they communicated with their individual global partners by sending and receiving video messages each week that explored important themes from the book. 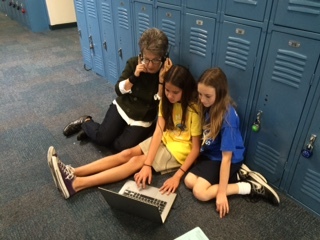 Heidi Galloway works with students who are recording a video message to their Global Partners at St. Mary’s School in the hallway outside their classroom. The students are also gaining insights into their partner’s daily life, traditions and popular culture. The Ugandan students paired with St. Mary’s learned a great deal from the global exchange, as well. 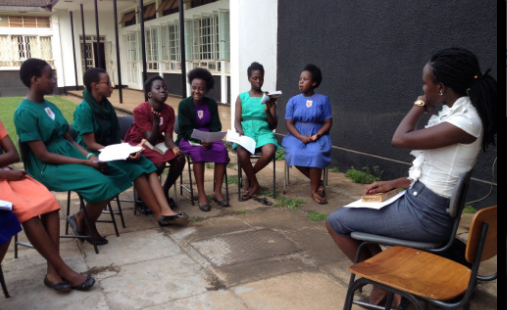 Students at Gayaza High School discuss “I am Malala” as a class before sharing ideas from the discussion with their partners at St. Mary’s School. One of the important themes students discussed as part the Malala exchange was access to education. Students at St. Mary’s heard firsthand how education is valued by Masoom night school students, who hold jobs during the day, such as selling vegetables or making shoes, and then go to school at night. Comments from Ugandan students were also eye-opening for their partners in the U.S.
“In my opinion, education has helped the emancipation of women in Africa. In some places in Africa, and around the world, some girls don’t go to school because their families don’t have the money or it’s not allowed in their tradition so they get married early because their parents need the bride price,” said Daniella at Gayaza High School. 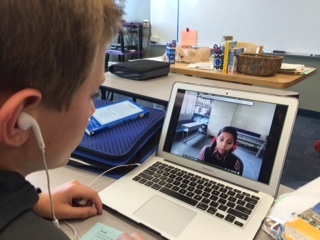 Students at St. Mary’s record and view video messages from their partners in Uganda and India using Level Up Village’s secure global communications platform. St. Mary’s students also utilized technology to better convey their school experience to their partners. “Two of them thought it would be a good idea to take their global partners on a virtual tour of the school, so they walked up and down the halls, carrying their Chrome books and filming to show their partners our buildings. The film was bumpy, but the idea was terrific!” said Galloway. 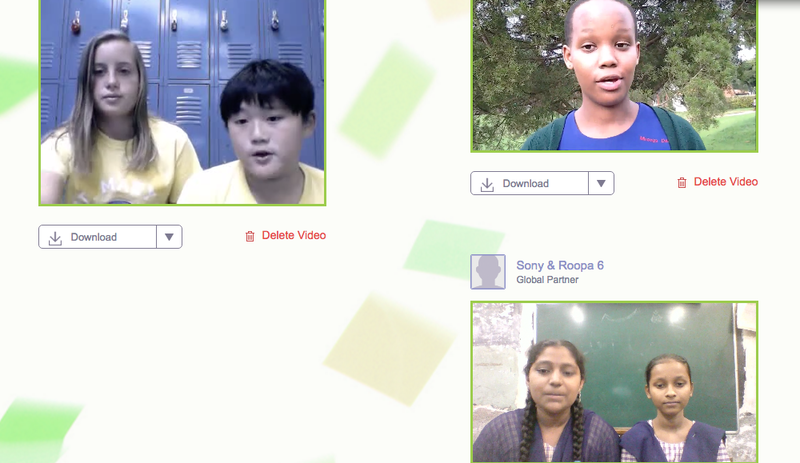 At the same time as her students were having these conversations via video message exchange, Galloway connected with the teachers on the other end via Level Up Village’s global communications platform. Is IB a global standard?